erial view of a road with a stream of cars at sunset. 4k00:25Aerial view of modern new highway road with transportation junction for traffic, drone shot. 4k00:08The camera flies over the truck effectively driving past the road. 4k00:244k. Aerial drone footage. Cars drive on the highway located between the blue lake. The sky is reflected in the blue water. Magic Valley, green forest on the horizon. 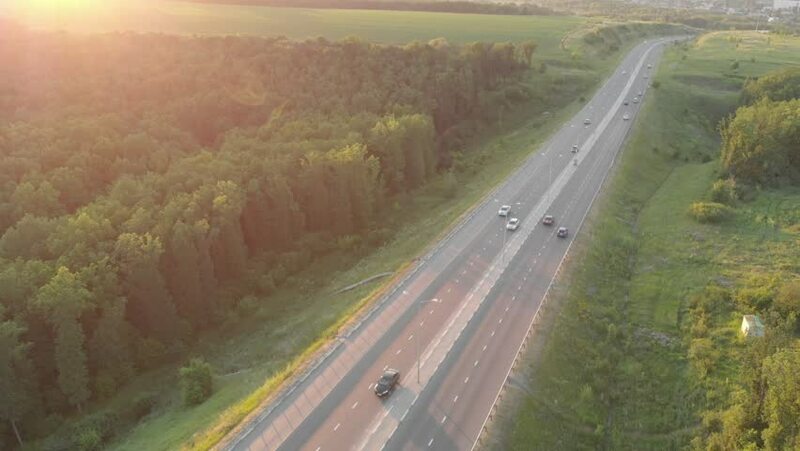 4k00:21Aerial footage of Road and Transport, People traveling by cars on a freeway. Drone moving forward. 4K Aerial stock footage clip shot at summer season time.